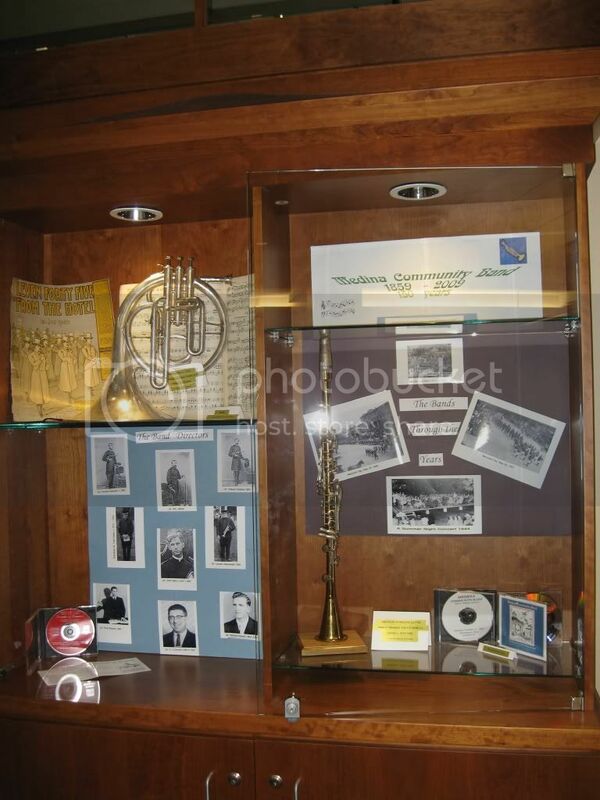 The Medina Library featured the Medina Community Band and it's history during the month of June 2009 with special display cases. Medina Community Band members Lynne Herrle and Cindy Ruhrkraut put together the display at the Medina Library to celebrate the 150th anniversary of the MCB. It featured photos of past band directors and vintage photos of the band. Information and photos were collected from band historian, Dave VanDoren. 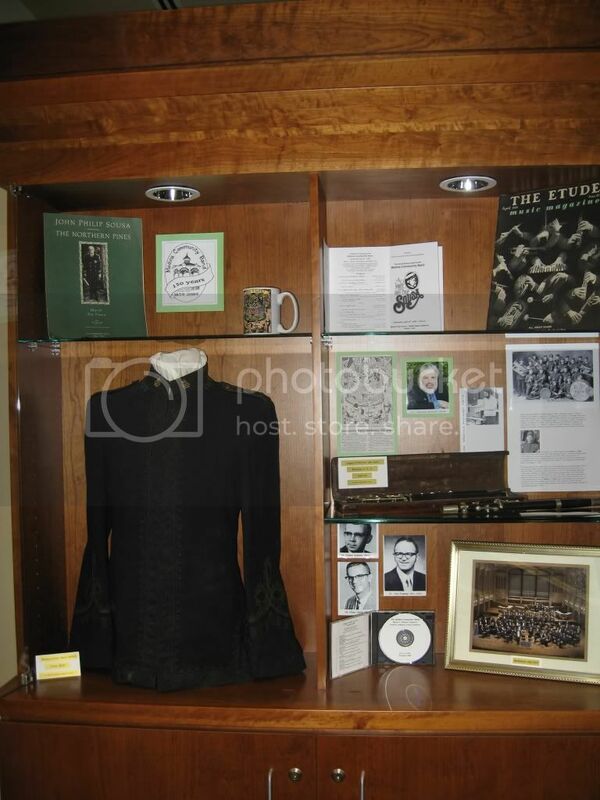 Also included were: a band uniform jacket donated from the Historical Society of Medina circa 1923, a mellophone from Gail Sigmund, an early metal clarinet from Mary Ann Grof-Neiman, antique fifes from the collection of Monica Lenox. Sheet music and Medina Community Band CDs rounded out the display.